Do you like butterflies? The only thing more beautiful than a butterfly is a finely carved pumpkin of a majestic butterfly! 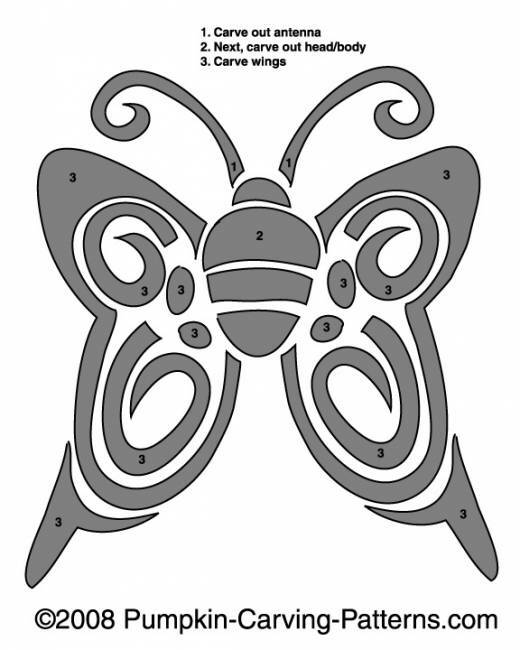 Try carving this pattern when you get your pumpkin and see the flame inside flutter like the wings of the butterfly!